Want to know what some of my fondest memories are? They happened back in the good ol’ days, when I was combining two of my favorite things: spending time with my little one and running. I felt like it was one of the biggest win-wins in the history of motherhood. My little one was outside enjoying the fresh air, sights, sounds and happiness that comes along with experiencing nature. I was able to get in my workout and reap the benefits of those endorphins. As she got older, she turned into my biggest cheerleader, too and hearing, ‘GO MAMA!” every now and then sure gave me an extra push! I think the jogging stroller is one of the best running tools out there for mamas. I’m a huge believer that we all need to make sure we are doing something for ourselves (for example, RUNNING) each day so that we can be better parents/friends/neighbors/spouses/employees, etc. The jogging stroller made it so that I was able to get in some beautiful runs when being a single mom doesn’t always make it easy to get out and run. I was able to still do something for myself and have my favorite side-kick along for the ride (literally). 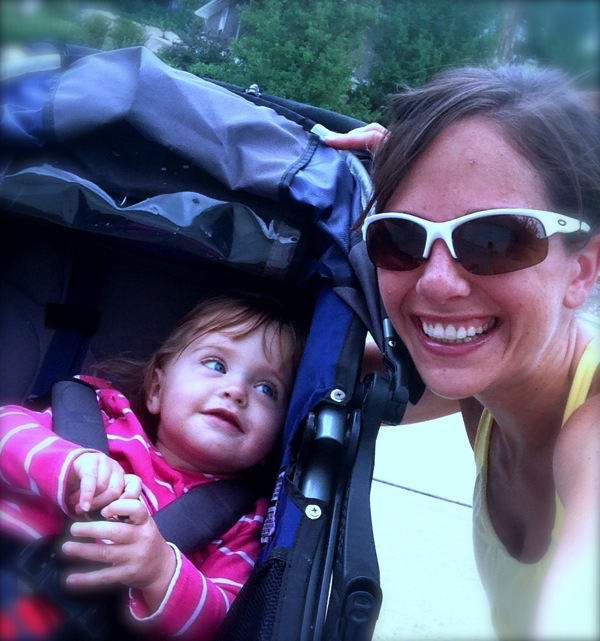 I have a few tips for running with the jogging stroller that I thought I would share today! In case you’re interested, this is the stroller that I have and absolutely love! START SLOW. Running with the jogging stroller will change up your form a bit. 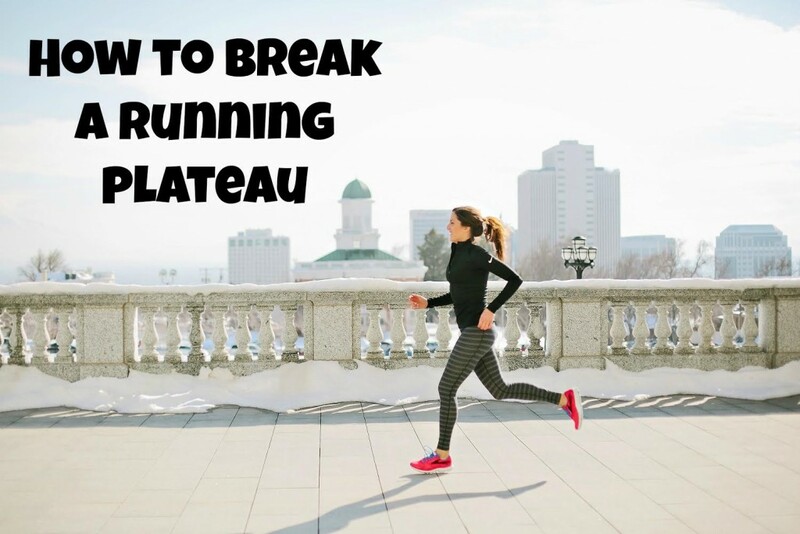 It is important to start out with shorter distances and gradually build up your distance, while focusing on keeping proper form to prevent an injury from occurring. Go out about 20-30 minutes before their longest nap of the day. I loved doing this because she would get to be awake for the first part of the run and then the stroller would put her right to sleep. It was all smooth sailing from there. Bring your entire house with you. I always brought enough diapers and food for her to survive for at least 3 days (okay, that’s a little bit of an exaggeration). I can’t think of anything worse than being far away from home without enough food or diapers for your baby. Toy central. I always brought the latest and greatest toys for when she was awake to help entertain her. Even better: Bring out a few toys ONLY for the jogging stroller time so that they see those toys as special and extra-entertaining because they aren’t toys they normally play with at home! Be prepared to stop. Go into your runs with the jogging stroller knowing that you will have to take a few stops to check on them, give them their next toy, etc. Brooke’s favorite game when she was little was throwing her blanket out of the stroller and then giggling like crazy when I would go back to pick it up. Just know you aren’t alone; we all end up making a million stops along the way while running with the jogging stroller. Talk to them when they are awake. The other runners on the trail always thought I was crazy as they passed by me talking about who knows what to my little one, but talking to Brooke when she was awake always kept her happy. Enjoy it. I miss the days of the two of us out on the running trail together. It goes by way too fast. I do a lot of my running solo these days, but back in her younger years it sure was nice to have a running buddy that always showed up without fail for all of our runs together. Think about how strong you will be on race day with all of this stroller running. Going from pushing 40 pounds on your runs to pushing 0 pounds on race day is sure going to feel nice! I’d love to hear from you! Have a jogging stroller that you love? Any tips/tricks to help for a successful stroller run? Moms reading—how do you keep up with your running with little ones? Tweet @hungryrunnergrl and @WomensRunning and share!